Have Leicester done it again with their summer recruitment? Image: Empics Sports Photography Ltd.
MUCH WAS MADE of Leicester’s recruitment strategy last season as discount buys like N’Golo Kante, Riyah Mahrez and Jamie Vardy all played integral roles in the club remarkably winning the Premier League title. And although the Foxes have lost the French midfielder this summer, Mahrez has remained (for the moment) while Vardy has signed a new contract. And tonight, despite suffering a 4-2 defeat to Barcelona in their International Champions Cup clash, another new signing sparkled. 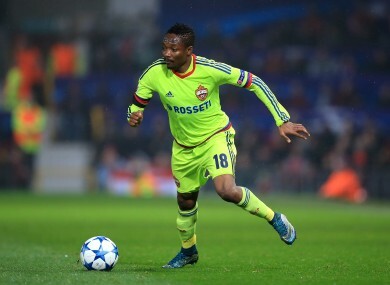 Ahmed Musa has cost the club a little more than other recent acquisitions – the attacker is thought to have cost a record fee of £16m from CSKA Moscow – but if his performance this evening is anything to go by, it will amount to small change. The 23-year-old Nigerian was introduced at half-time with his side 3-0 down and he took less than two minutes to make his mark. He scored a second midway through the half but the Catalans added a fourth with six minutes to go. Email “New Leicester signing Ahmed Musa conjured this outrageous goal against Barcelona tonight ”. Feedback on “New Leicester signing Ahmed Musa conjured this outrageous goal against Barcelona tonight ”.